Our final day cycling by Lago Titicaca thought it would give us a farewell to remember as we crossed Tiquina, the town of two halves. 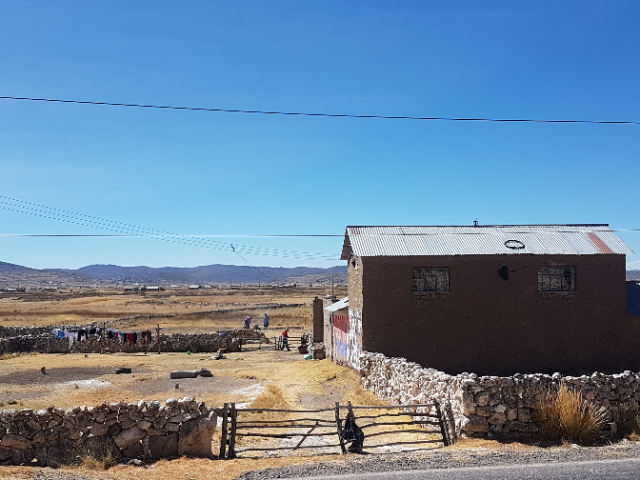 I feel very remiss in not writing about Lake Titicaca* earlier (*as we were instructed – to be pronounced ‘kar-kar’ not ‘ka-ka’ which sounds pretty unpleasant in Spanish!). We’ve just been enjoying ourselves too much:). 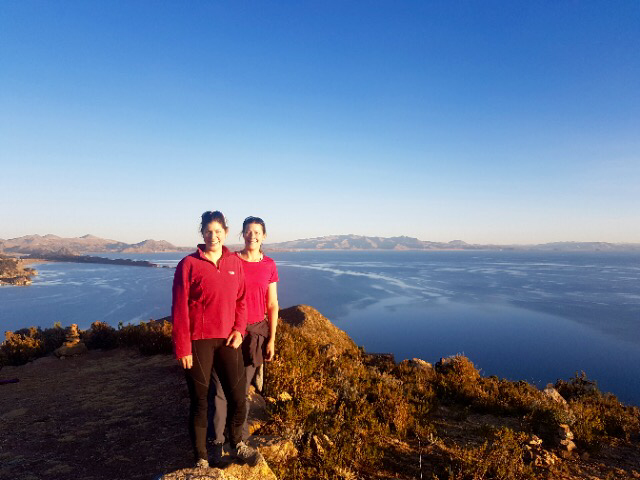 First the factual bits: Lago Titicaca sits at an elevation of 3812m and is famous for being the ‘highest navigable lake’ in the world and the largest lake in South America at 8300 sq km. 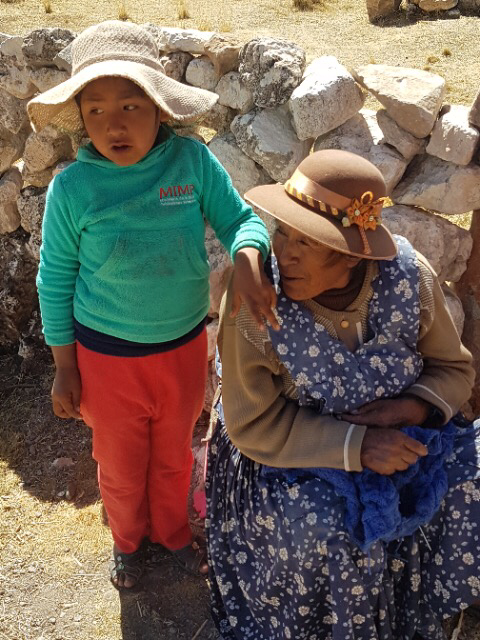 It’s shores straddle both Peru and Bolivia and it’s the ancestral land of ancient and prevailing Andean cultures including the Quechuas, Aymaras, Uros, Pajaces and Puquinas. In Andean folklore, Titicaca is the birthplace of the sun. After a few weeks travelling through the Peruvian mountains and cordillera, riding along the glistening shoreline of Lake Titicaca was also a very welcome change of scenery. The views just kept getting more beautiful the further south we rode and the Bolivian side of the lake was definitely our favourite (so my advice is to read this post from the bottom up!). 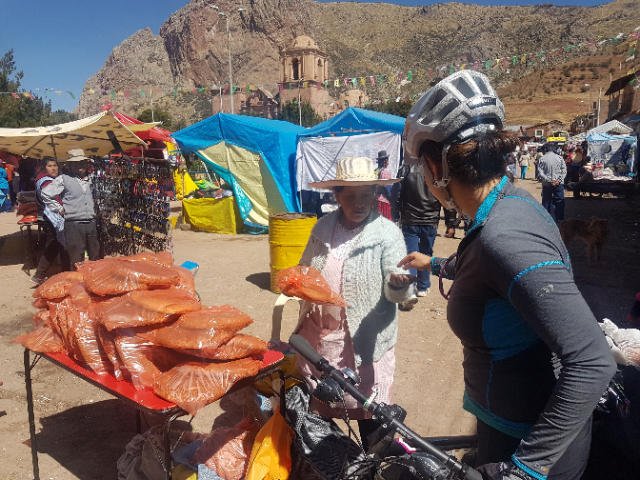 As part of a glorious ride along Lake Titicaca between Puno and Copacabana (and into Bolivia), we’ve had three days of riding with relatively few accommodation options. At the end of the first day we decided to camp. Given the terrain is pretty flat, wild camping is a tricky option as it’s not so easy to hide yourself away out of sight, so we decided to ask if we could set up camp in someone’s back yard. Meet Grandma Maria and her clutch of grandchildren! Maria & granddaughter Sara. Maria is knitting herself a cardigan from alpaca wool. You need a stomach for heights! 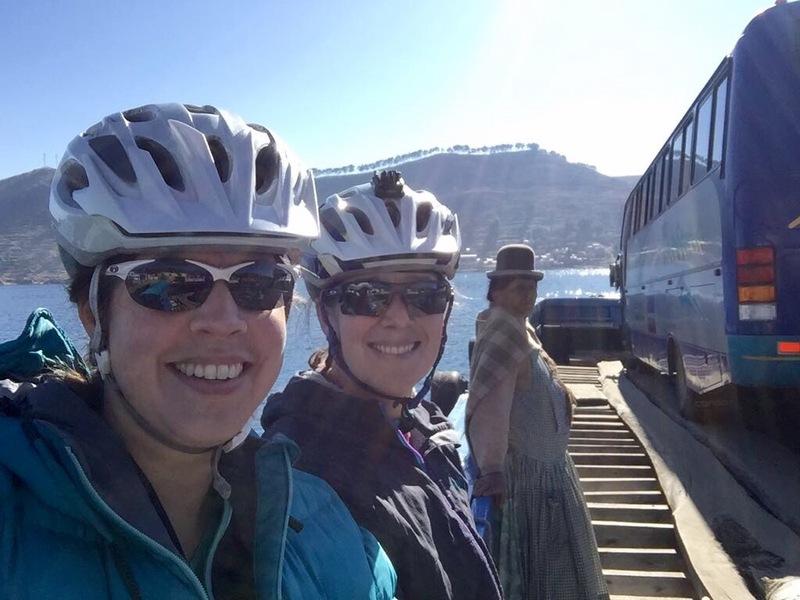 After arriving in Puno and to the shores of Lake Titicaca, we promptly booked ourselves on a bus (yes, a bus!) 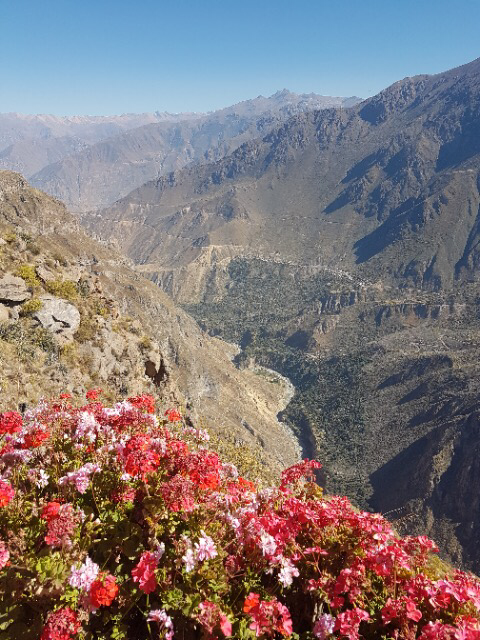 to take us straight out again to visit the famous Colca Canyon. With a depth of 3,270m, this vertiginous river valley is nearly twice the depth of the Grand Canyon. Much of the canyon is used for agriculture with the lower valleys producing crops and the upper levels being used for grazing sheep, cows, llamas and alpacas. The pre-Incan terraces lace the steep valley sides and are still very much in use by the local farmers. 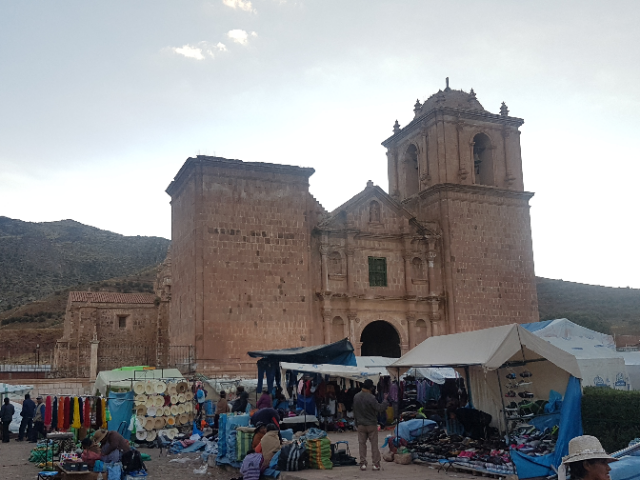 After our wonderful break in Ayaviri, we got back on the road to head to Puno and Lake Titicaca. The route took us through Pukara, where we’d planned to camp. It turned out they had a big fiesta for the local saint’s day with a huge market bursting with everything from food and clothing to mattresses and furniture. The small town was all abuzz and heaving with people. 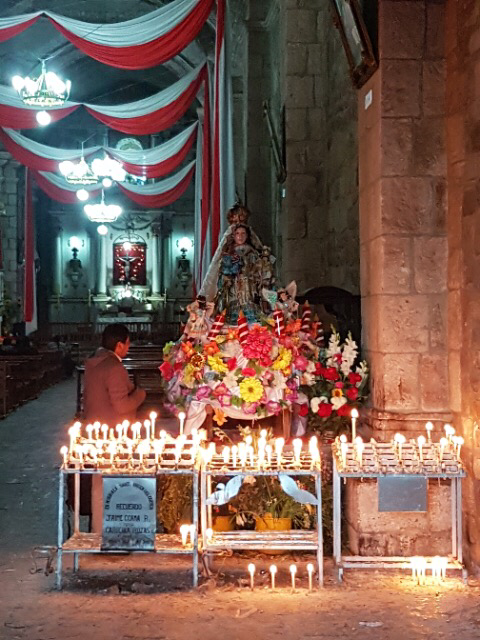 We were regularly told to be careful of our things so plumped for a local hospedaje on the main Plaza de Armas instead. 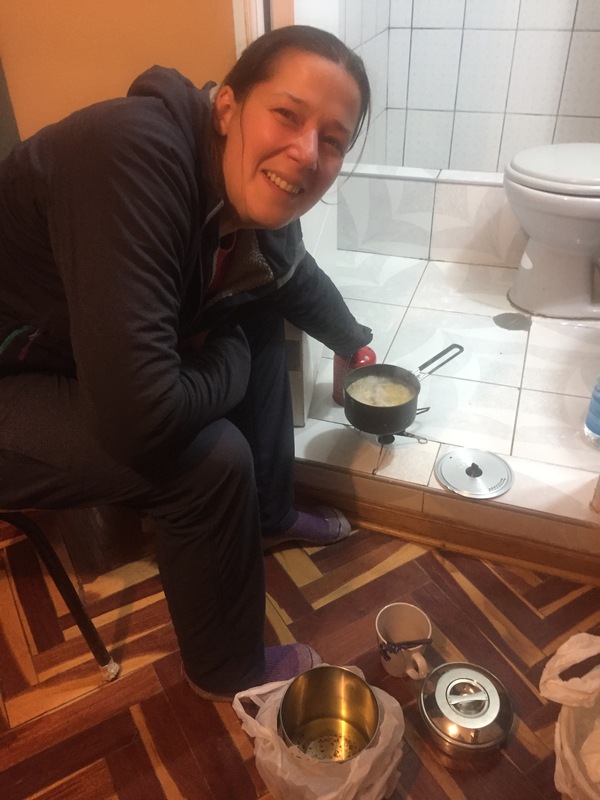 That gave us the peace of mind of having the bikes being out of sight but was also our least salubrious accommodation to date, with smelly well-used bedding and no running water in the bathroom (no cooking to be done there this time that’s for sure!). 1. 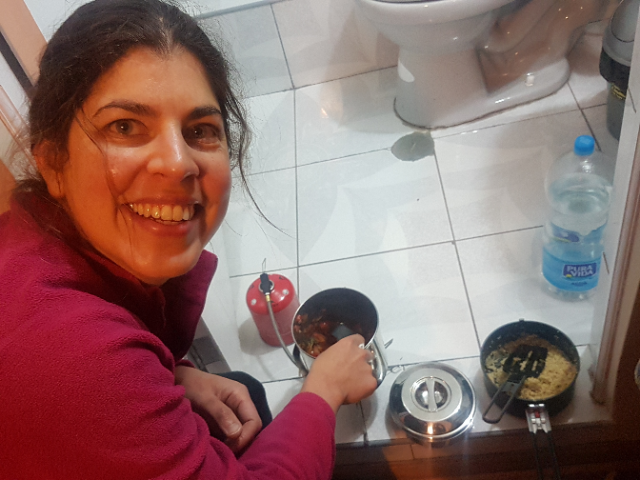 Cooking our dinner (quinoa and veg stew I’ll have you know) in a toilet – nothing quite like it for that extra bit of flavour, mmmm! Many travel blogs write about the surprise and delight of gestures of kindness from people met along the road. Happily our experience has been no exception, and came in the form of Ray and Michaela. Back in Cusco, we were tucking into some fabulous food at the bar of a restaurant when we got chatting with the chap sitting next to us.